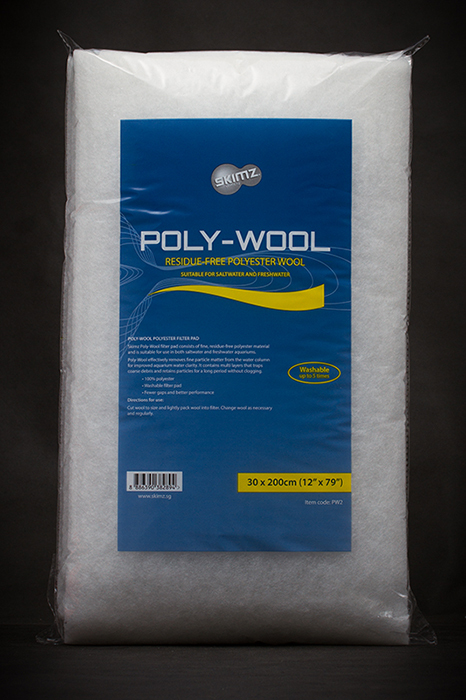 Skimz Poly-Wool is very effective at removing fine particles in the aquarium water to help improve water quality. Simply pull or cut desired amount of Skimz Poly-Wool Filter Pad and place in your aquarium filter for fast and convenient enhancement of mechanical filtration. Stable fibers resist compaction and can be rinsed and reused up to 5 times for long-lasting filtration. 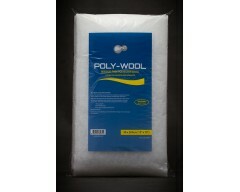 Skimz Poly-Wool is suitable for freshwater and saltwater filters, including canister filters and wet/dry sump filters.